Now Available on Steam, Humble Store and GOG.com! Of course, the adventure won't stop here! We are continuing to work on our promised stretch goals from our Kickstarter campaign. Eventually, we will be releasing an expansion that adds Spade and Torque as playable characters, adding a whole new experience to your favorite levels! Commander Torque is first on our to-do list. His gameplay revolves around the use of different long-ranged weapons, which you can mix and match between each stage. Each weapon comes in 3 types - Buster, Bomb and Flyer - as well as 5 elements - Wood, Earth, Water, Fire and Metal. This gives Torque up to 15 different weapon combinations to choose from, each of which is effective in certain situations or against specific enemies and bosses. 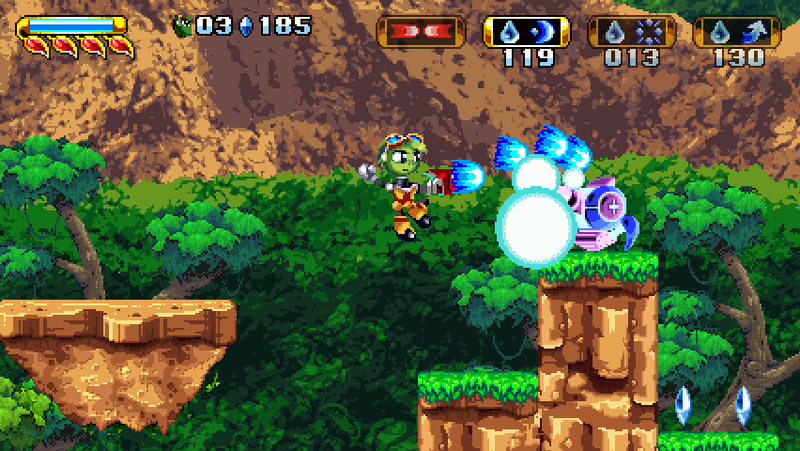 Fans of Contra or Gunstar Heroes should feel right at home playing as Torque! We're not quite sure yet when the new characters will be ready for testing, but we'll keep everyone posted! We're in beta! Supercon, IGM and more! 1.4 Demo Released - Mac version coming soon! Freedom planet is also available in the Wii U.
Aaaaaaaah I can't believe this is MMF!!!! Holy **** guys! One of the best games I played in years! Honest a great alternate for sonic and kindly filled in the time waiting for a new good sonic game to come out again after sonic boom sucked. But still fantastic game all around! I did a Let's Play on this game! Come check it out if ya like! I have been one of the first trackers for this game project ever since it hit ModDb, and i must say, i am proud. You really have progressed with this project alot. You are doing an amazing job! Keep it up! Wish I could claim the same. This game is truly amazing. I'll have to settle for my simple review (http://www.poweronpub.com/freedom-planet-review/ if anyone is curious) to do my part in sharing this game with people. The GalaxyTrail team certainly deserves it! A fantastic game that harks back to the days of sonic on the SEGA Genesis. With its incredibly smooth and solid gameplay, beautiful graphics, awesome soundtrack, and tight controls, this game captures all the nostalgia while adding so much more! Play it.